Let me handle what I call the three pillars to small business accounting: Accounting/Bookkeeping, Payroll and Income Tax Preparation! When you work with Patrick Rucker, CPA, Inc. the three pillars of success are removed from the time needed by the business owner and set upon my own shoulders. With Patrick Rucker, CPA, Inc., you can rest assured that your accounting, payroll and tax needs are covered by a licensed CPA who cares about your future! With over nineteen years of experience working with Quickbooks, I am expertly placed to save you time, money and anxiety over the state of your accounting records. I offer daily, weekly, bi-weekly or monthly options according to your needs. Are your current books a mess and you aren't sure how to get them correct? I can clean up your books quickly and provide training on how to keep them accurate. Contact me today, I'll take the mess off of your hands so you can get back to running your business. With my full service payroll, rest assured that you’ll never have another incorrect or late payroll filing. I electronically file all payroll tax payments, quarterly and annual returns to ensure timely compliance. Direct deposit is available at no cost for your employees if they would prefer. Additionally, I make available pay-as-you-go workers’ compensation insurance to help reduce your insurance cost to actual hours worked rather than annual estimates. Contact me today to see how I can make your life easier. 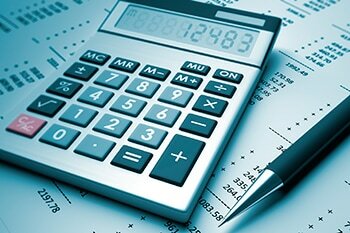 With over ten years of experience in Public Accounting, I provide tax return preparation services for Individuals, LLCs, Corporations, Trusts and Non-Profit Organizations. I also take care of your business' other reporting requirements such as Sales Tax returns and Personal Property returns. Prior to year-end, I will be happy to meet with you to analyze your current situation and make an effort to minimize your tax liability. Contact me today to discuss your needs.